Uses: Convention Center, Hospitality, Hotels, Maintenance Projects Colors: Browns/Tan/Beige Lengths: 13 panel 24'-1" Heights: 6'-0"
Portions of this banquet facility were under construction for several weeks while remaining open to the public for other functions. In order to prevent guests from entering areas under construction, the facility manager placed a Screenflex Room Divider in front of the stairs leading to the second level which was being repaired. 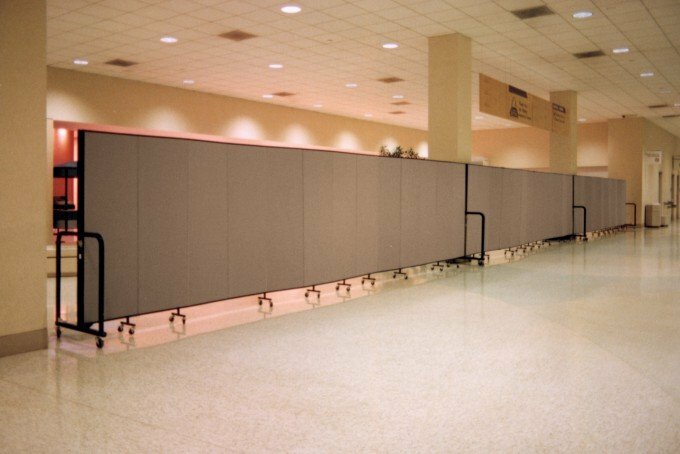 The rolling fabric walls maintain the atmosphere of the facility while creating the barrier needed. 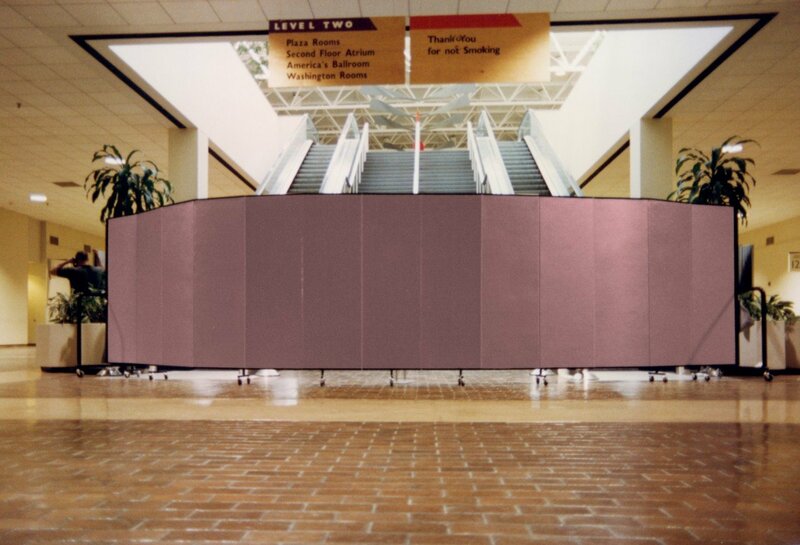 Sturdy, durable and long-lasting, Screenflex portable walls are available in 36 sizes and 38 color choices. Units ship fully assembled and ready to use. Manage the space in your facility with Screenflex. Call us today at 800-553-0110 for a quote or to get a list of customers in your area.